Grantham Properties are high end property developers based in Central London. 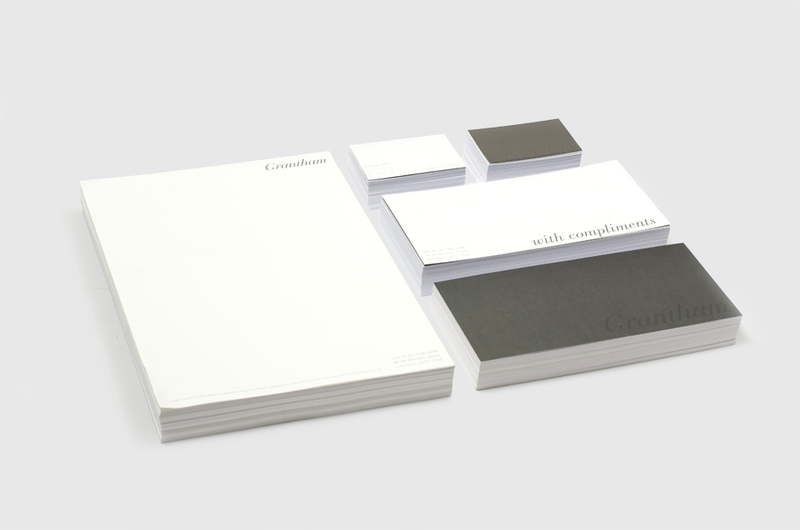 We were briefed to created a very simple and minimal logo and stationery set. 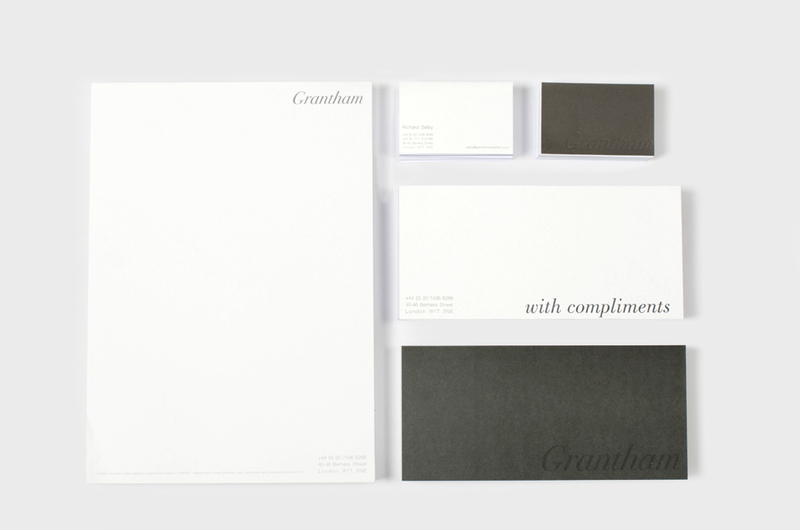 From our meetings at the Grantham offices we looked at using the same greys and textures that had been used in their offices. 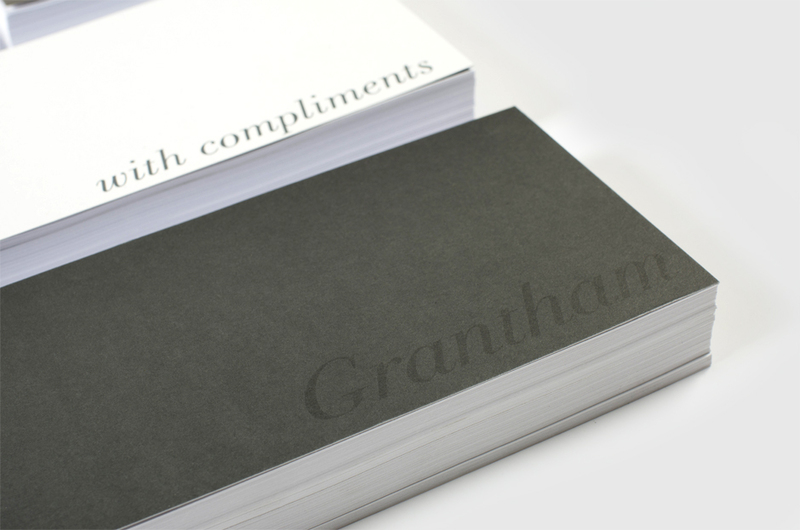 we printed the stationery on a bright white colorplan board and the business cards were printed and then double skimmed so the backs were on a logo embossed charcoal colorplan board which made them very thick and luxurious.